Dog Life Dog Crate Black Medium Two Door. 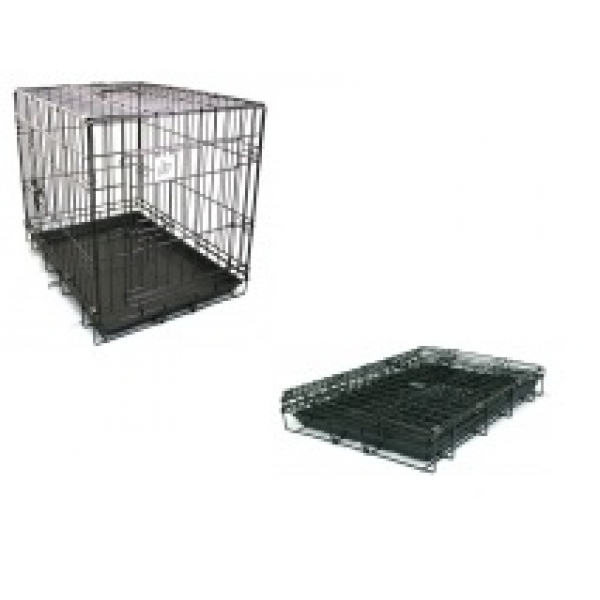 Collapsible Dog Crate in Black with a Black Plastic tray. Removable Tray and Two Door one at the side and one at the front. Ideal for puppy training or for general travel in the car for all age of dogs.